Learn to master the blindfold in one hour. 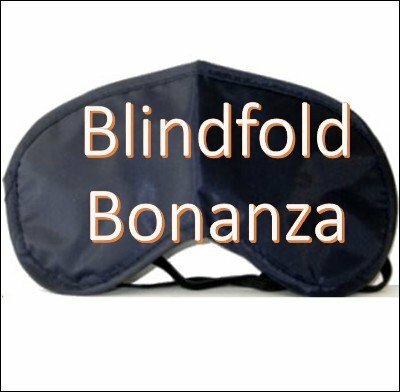 Give me one hour and I'll show you how to use and master the blindfold for your mentalism routines. If you have ever wanted to perform an incredible blindfold act but were daunted by how to get the peeks, or if you were frightened off by the thick books of complicated routines (I was!)... then this video will be a huge relief for you. Imagine holding a person completely spellbound, hanging onto your every word, and finally being completely shocked at the incredible accuracy of a blindfolded reading that you gave them. Yes you. My name is Jesse Lewis and I can teach you the blindfold in just a few hours. Quite frankly, the blindfold can be easy and fool the hell out of people. It is one of the most effective methods in any mentalists arsenal. Add to this, your natural intuition (and yes, you do have it), you'll be shocking, amazing and mystifying people with your blindfold act. How to make your own blindfolds quick and easy. Downward and forward peek. BLINDFOLD DRIVE SECRETS! Yes the basics of the blindfold drive are taught. What you do not get: Patter! Why? Because you need to develop your performance persona and even though I do not give the presentation I give you 10 different ideas about the blindfold act that you can transform into a killer presentation with just a little work. If you have ever wanted to master the blindfold or even add one routine to your act, you need this video. Order today. What you get is 66 minutes of instruction on how to use blindfolds effectively. 1st edition 2016, length 66 min.